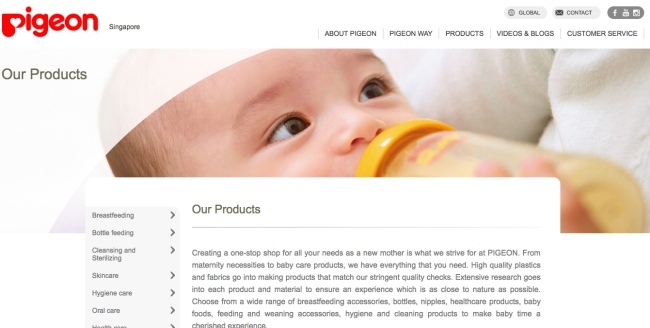 PIGEON Singapore (pigeon.com.sg) a very popular and trusted brand in mother and baby care products. They provide a wide range of products like breast pump, bottles, toiletries and wipes. Basically they have almost everything that can meet the mothers' and their children needs. 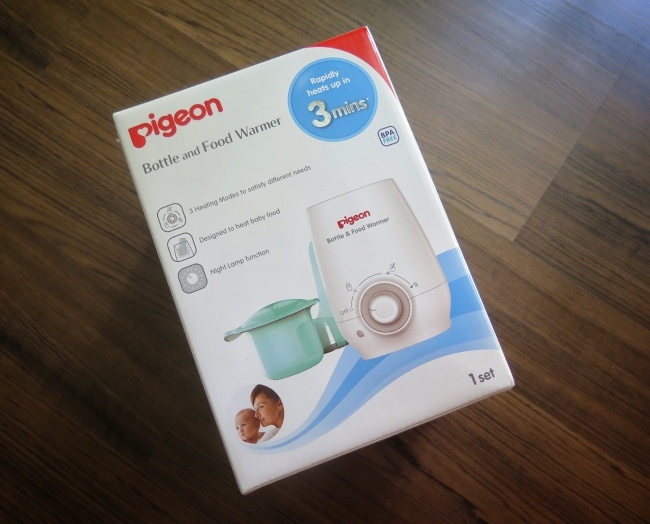 Pigeon had already been my favourite brand when I was preparing for my new born's arrival. You can read about my shopping journey for my new born here. I also love their wipes! You can read my review here. 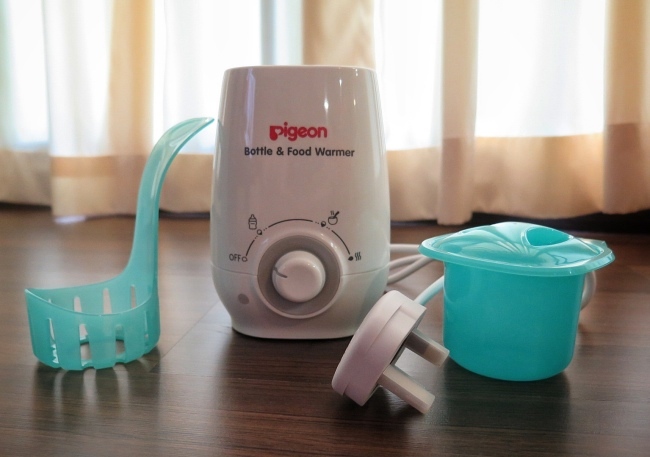 Pigeon Bottle and Babyfood Warmer (Fits all Pigeon Bottle size)- Pigeon is so smart to actually offer this 2 in 1 warmer. 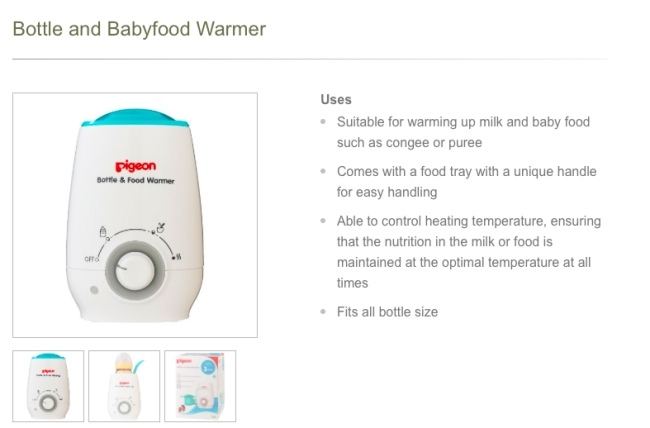 You can use it to warm up milk and baby food such as congee or puree. It also comes with a food tray with a unique handle for easy handling. I feel they have put in a lot of thoughts to design the warmer. Providing the mummy with lots of convenience and not forgetting their safety too. Just put the bottle in and turn the knob according to the reference guide. No need to boil water and then test that the temperature not too hot for the milk. Alas imagine doing all these in the wee hours! So Cumbersome! I like that they have controls and guide on the heating temperature. This help in maintaining the nutrition in the milk or food. If the temperature is too high, it will destroy the nutrients in the milk. Especially breastmilk! I will be so upset if I painstakingly pump the milk and destroy the wonderful nutrients in it. Great for mummies who prefer to prepare food in advance and freeze them. You can use the warmer and heat the frozen puree up easily. No need to take out your pot/pan. Within 10 minutes, the puree will be ready for your lovely little one's consumption. When little Travis didn't finish his milk, I will put the bottle back to the warmer to keep it warm in the optimal temperature. So easy! Many thanks to Pigeon Singapore for the lovely pigeon products. Enjoy your Baby and Mothercare Products Shopping~ I am sure you and your loved ones will love these. Above information is for reference only. Please always contact PIGEON Singapore (pigeon.com.sg) for latest details.